If you’ve never had a speeding ticket and you have a good driving record, go to your clerk of court to see if you can plead “no contest”. Pleading “no contest” can get the fine reduced, and prevent points from going on your license. Depending on the jurisdiction you live in, the ticket itself will not go on your record, and thus doesn’t get reported to your insurance company. 2. Check the Ticket For Any Mistakes or Errors. If you can’t plead “no contest”, there are still ways you can get out of the ticket. If there is any mistake or error on the ticket, this gets your ticket dismissed. Even a tiny detail like the street name you were on can get the infraction dismissed by a judge. 3. Try and Get Your Court Date Rescheduled. Often, if your court date gets rescheduled, the officer who gave you the ticket won’t show up. This allows you to explain your case. Without any input from the officer, the judge may decide to dismiss your ticket or get the fine reduced. This also increases the chances that points will not be added to your license. 4. If There is a Plea Bargain, Consider It. If the judge offers you a plea bargain, consider taking it. The judge wants to keep you out of the court to save time and hassle. Often, the court will offer you a plea bargain that reduces the fine and keeps the ticket off your record. Sometimes plea bargains require a defensive driving course, a.k.a. traffic school, to keep points from being added to your record. However, taking a defensive driving course can get you an insurance discount. 5. Show Up to Every Court Date. While showing up to court may not seem worth the hassle, keep in mind that traffic court doesn’t expect you to show up. Just appearing at your court date significantly increases the chances of getting out of the ticket completely. Taking a day off work is worth the speeding fine, insurance premium increases, and possible driver’s education fees. 6. Complete a “Trial By Declaration”. 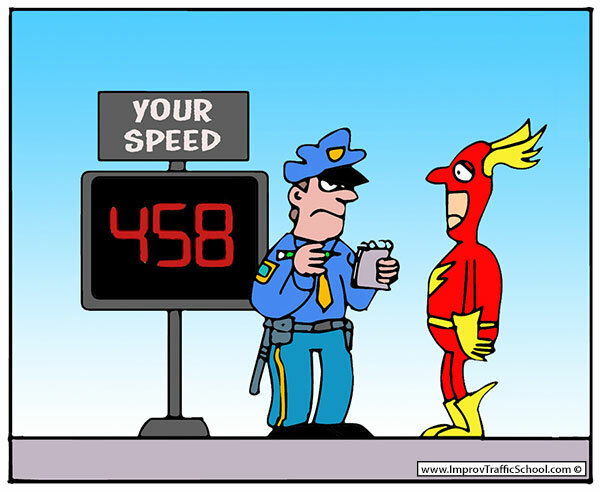 If you got the speeding ticket while out of town, you can submit to the court what is called a “trial by declaration”. In a trial by declaration, both you and the officer send your statements in writing to the traffic court judge. A trial by declaration does not require either parties to be present, but still gives them the opportunity to tell their sides of the story. You can find the required forms at the clerk of court’s office. If the judge declares you guilty, there are still other options for you to take. Offer to take a defensive driving course. You may still have to pay the speeding ticket and court costs, but driving classes can get you a significant insurance discount. Often, if you agree to take classes, the points that were added on to your record will be removed once you complete the course. Depending on your circumstances, you may have the option to complete traffic school/defensive driving online or in the classroom. A typical driver’s education course includes defensive driving techniques, methods for driving in bad weather, and traffic laws. If your traffic violation can’t be dismissed or you won’t qualify for a car insurance discount, a driver improvement program can still be a beneficial investment to improve both your driving knowledge and behavior. Why Should You Consider a Driver Improvement Program? There are numerous benefits to taking driver improvement classes such as defensive driving/traffic school courses. Not only may you become eligible for safe driver discounts on your car insurance, but you will become a better driver. You will decrease the likelihood of getting tickets in the future or getting into accidents. If you’ve recently received a speeding ticket, there are steps you can take to save money and keep your good driving record intact. When you get out of the ticket, you may want to consider driver improvement classes to prevent another ticket in the future.